Middle Falls is beginning to look like a good place NOT to be from. We have seen a lot of good people and some bad ones that come from this little town in Oregon. I have really enjoyed this series and this latest story is no exception. Although not your typical time travel scenario, we still get many of the same issues that a true traveler would have. Besides, who doesn’t want to go back and fix at least some of their mistakes – and all the havoc that mistake created. But we need to remember the butterfly effect and all the havoc that Fixing that mistake would cause in our lives as we now know it. Sometimes the narration can be a bit dry in this one but I think that is also part of the story and it was never at the point of being a problem for me. This book is the start of a series. Being that, it is all about setting up the characters and circumstances. Still an excellent story but really focused on development and discovery. The narration was well done and certainly added to the story. This is a series I will continue to follow. 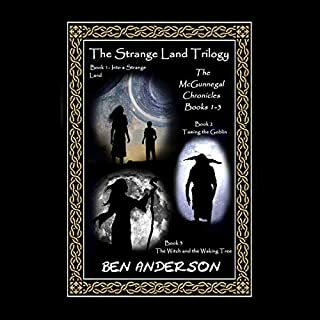 This is the first three books in The McGunnegal Chronicles however it truly is one story complete in the trilogy but ready for more to come. Throughout this story I was reminded of the Narnia series by C.S. Lewis. There are many differences and this is a unique story but the story line resembles something from that series. Also the reading level or audience is about that level as well. I would not be afraid to let my 11 year old daughter listen to this if she were interested in such stories. 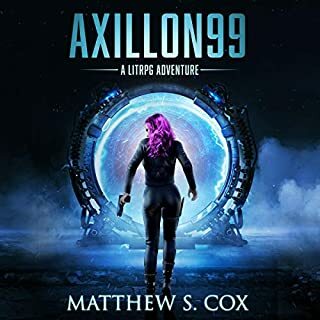 The narration was first rate and definitely added to the enjoyment of this story. Can't wait for more. I enjoyed it that much. 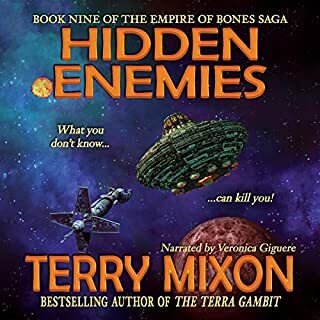 This is the ninth book in what has been a great space drama. You really should start at the beginning as a lot has happened and a lot is going on. 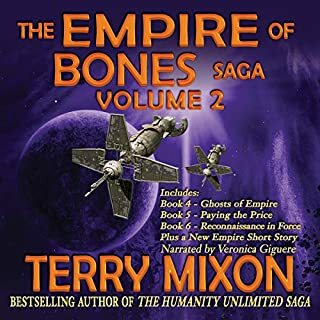 This book is well written and I believe you could jump in and enjoy this series anywhere. This has been a great series and continues to keep you engaged. But I wonder if maybe Terry is running out of ideas. Towards the end of this book, the soap opera went into extreme mode. Every few minutes some new drama was introduced... then the scene switched to another line until the next drama escalated... then the scene switched to the next group and repeat, over and over. The last hour or two was one new drama after another. I felt like I was watching a Soap Opera on prime time. Don't get me wrong, it was an excellent story. I did feel the presentation of each new drama could have been handled better. As usual Veronica did an awesome job with the narration. Each character was distinct and the pacing was perfect. Can't wait till the next installment. 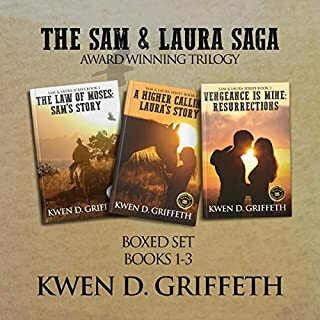 The complete award-winning Sam & Laura Saga. Follow their story as they struggle on the American plains of the mid-1800s. I was burnt out on Westerns years ago. This is not my normal genre. I got it because it looked interesting and I like longer stories. This is the best I have listened to in quite a while, enough to rate 5 stars in my book. 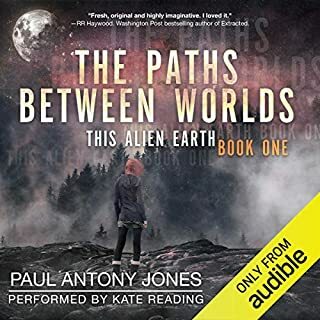 The narrator perfectly fit the story and did an excellent job with all the characters. 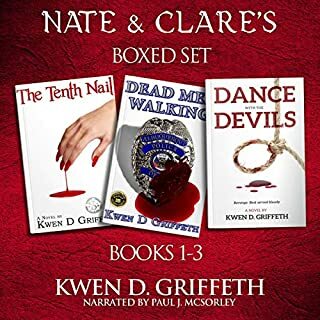 These three books are one long story broken into three shorter ones like any good trilogy.And for that reason this boxed set is the perfect way to get this story. 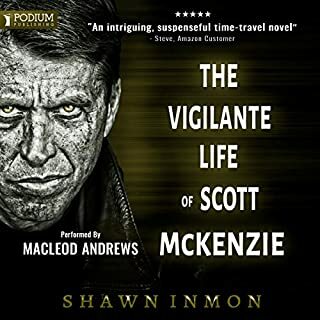 I will be looking for more from this author and narrator. This is the second omnibus volume with the fourth, fifth, and sixth books of the saga. It is followed by an included short story that fits between the fifth and sixth books. As I mentioned in my review of the first omnibus volume, the short story is out of place. At least this one occurs before where you are in the story so you are filling in back story. I highly recommend this series for anyone looking for a good space drama. Lots of science to fill the stories of people interacting with people. Just as good science fiction should be. This book reminded me a lot of Ready Player One. And that’s a good thing. 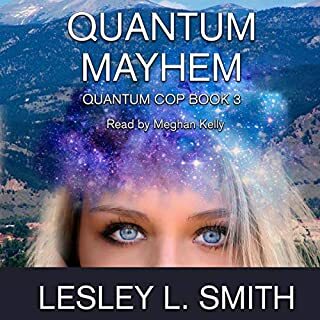 As usual for this genre, a fast paced thrill ride with lots of action and adventure. Not sure about most of the genre but this one brought the action and adventure into the real world as well. Highly recommend this book for anyone looking for a first person adventure that never sets you down. There were a couple points early in the book where you jump from reality to game play or vice-versa in such an abrupt way that it takes a few moments to realize you have switched. Nothing bad but the closest thing to a negative I had for this one. The narration on this book was right on with the story. Kept up with the action and changing emotions of each character. Since this was first person, all the voices were filtered through the main character but it was still easy to identify each character. 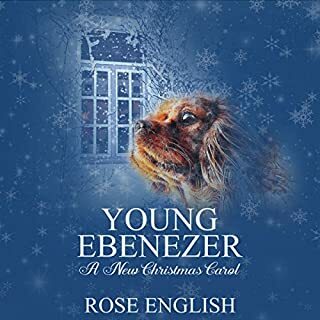 This story is a seasonal treat, a modern, lyrical retelling of the Charles Dickens classic, A Christmas Carol. Eb is a spoiled child who really is not one for caring, and he certainly hates sharing. He is watched over by a very special guardian - the family’s ancient longcase clock, who is bestowed with magic. His name is Grandfather Time. On Christmas Eve, Grandfather Time decides he must teach the boy a lesson. Perfect Christmas carol for kids. The family really enjoyed this short poem style story. This story is told in a poem just like "The Night Before Christmas". And even sounds like that story at times. I know that a lot of people claim family friendly these days but this one really is. I don't share much of what I listen to with the family but had no hesitation with this one.